Toshiro Mifune (foreground) stars in Akira Kurosawa’s “Seven Samurai” (Shichinin no Samurai). TORRANCE — Faith United Methodist Church, 2115 W. 182nd St. (near Van Ness) in Torrance, presents Japanese Movie Night every month. 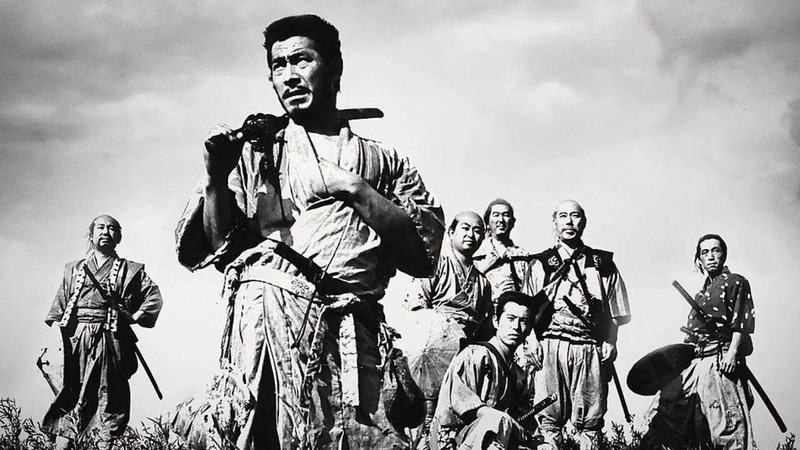 Upcoming: Akira Kurosawa’s “Seven Samurai” (1954, 207 minutes) on Sunday, Nov. 11. This month only the showing will be on the second Sunday instead of the third Sunday of the month, and will start at 2 p.m. instead of 5 p.m. due to the length of the film. Bring your own snacks. With bandits coming after the harvest to steal their crops, villagers hire seven ronin (masterless samurai) for protection. The samurai teach the townspeople how to defend themselves, and the film culminates in a giant battle when 40 bandits attack the village. The cast includes Toshiro Mifune, Takashi Shimura and Keiko Tsushima. Ranked highly on many critics’ lists of the greatest films of all time, “Seven Samurai” (Shichinin no Samurai) was one of 16 collaborations between Kurosawa and Mifune, which also included “Rashomon,” “Throne of Blood” and “Yojimbo.” It was the inspiration for an American western, “The Magnificent Seven” (1960), and other films. Free admission and popcorn. There will be a short reflection after the movie. For more information, call (310) 217-7000 or visit http://faithsouthbay.org.